Unable to attend the Immigration Summit in person? We’ve got good news for you! The Partnership will live stream the below sessions. Learn about immigration history, myths, and facts impacting refugee families. An overview of the immigration crisis from the national and local levels will be provided. Key advocates in the work and resources will be highlighted. During this session, a team of legal experts will provide a survey of immigration law and policies which provide opportunities and barriers for families. The panel will also discuss how people can immigrate legally to the US or get legal status and the changing dynamics of the deportation policies on vulnerable persons. Community Action leaders from around the country will share their stories of supporting families, best practices for navigating “systems” and lessons learned. Engage in a recap of learning and resources thus far and review the upcoming summit agenda objectives. This session will highlight barriers to accessing education and feature transformation stories related to early childhood education and models for increasing access to college/trade school for adults. 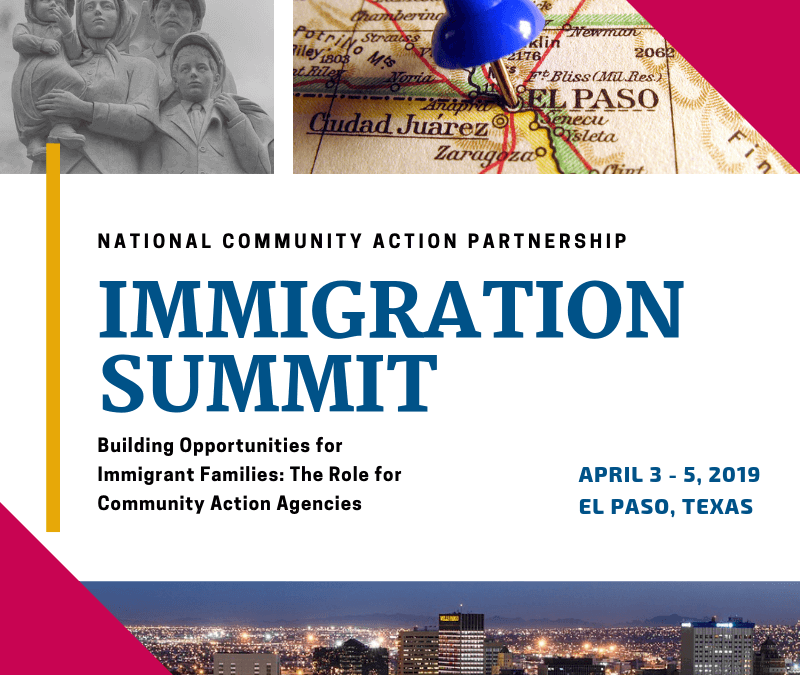 This session will highlight the impact of living in a community without legal status, barriers facing immigrant families, and the case for a humanitarian response to the immigration crisis. Additionally, racial bias and cultural stigma and culturally informed strategies for navigating institutional barriers and social isolation will be highlighted. Have you taken a look at our latest agenda for the Immigration Summit?